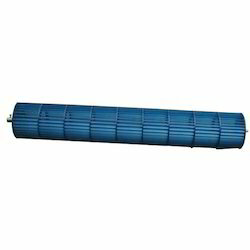 Riding on unfathomable volumes of industrial expertise, we are offering an excellent range of Plastic Blower. We have been offering a wide range of Centrifugal Plastic Blowers (DIDW) in various specifications. These are offered in different models that vary in their bore size and material. Our blowers are known for their features, such as high efficiency, durability & compact size and are offered at industry leading rates to our clients. We are one the respected manufacturers and suppliers of Air Blowers 1.5hp, Plastic Air blower and Vortex Air Blower. All our wide-ranging variety of products available with technical specifications, which is greatly esteemed by our cherished clients. Our Blowers offer reasonable and effectual solutions to the clients. These are also obtainable in low, medium and high-pressure functions.